What You Missed: SPLI 2nd Anniversary! For those of you who weren’t able to attend our SPLI 2nd Anniversary Party on August 17th at Empire Gaming in Farmingdale, here is a quick recap of all the fun stuff that you missed! 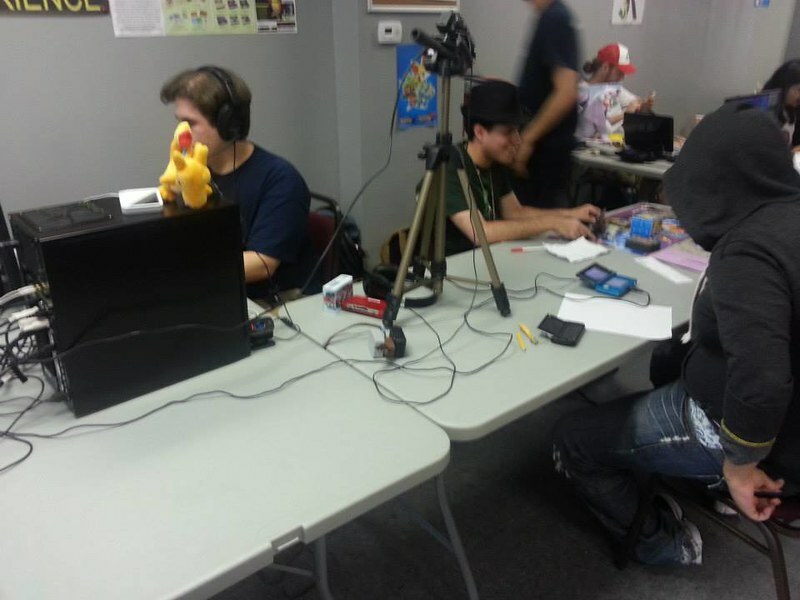 Since we know that Long Island gamers like to play both Smash Bros. and Pokémon, we decided to run two tournaments! 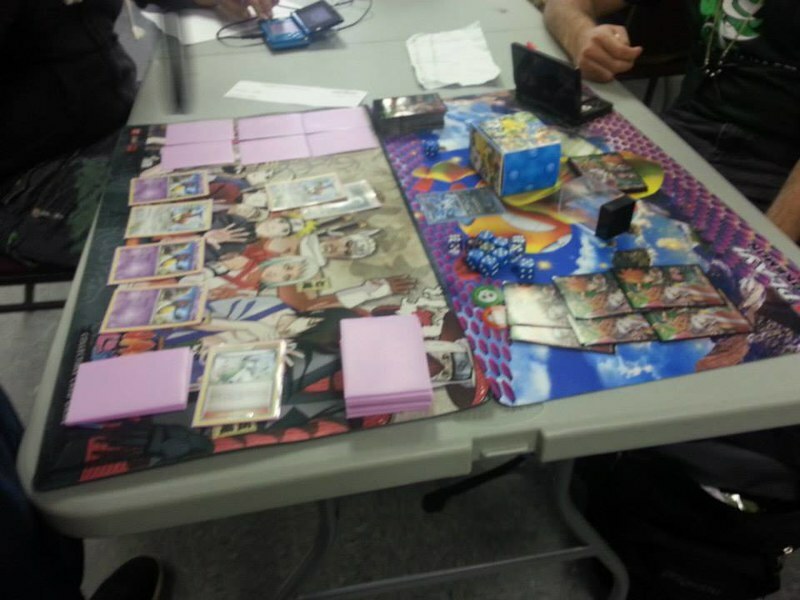 SPLI hosted a Pokémon Triathlon, which comprised of Single, Double and Triple Battles. 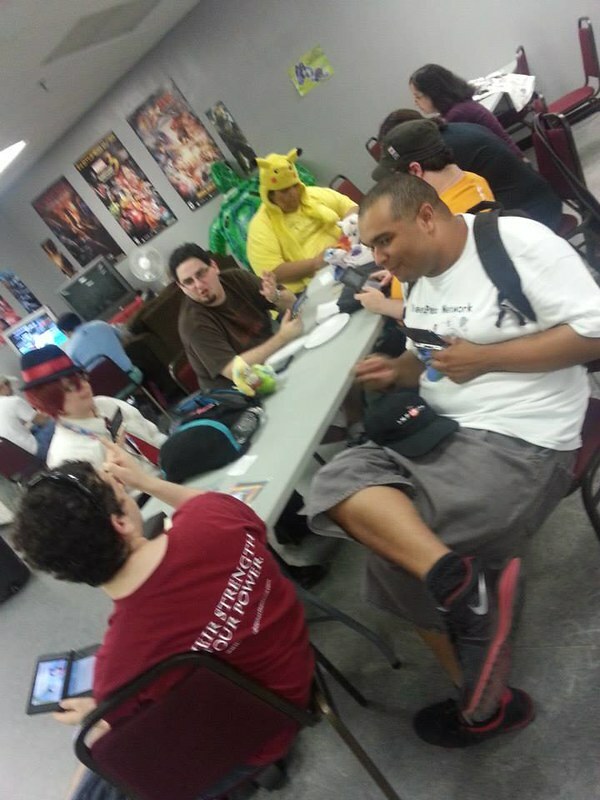 Meanwhile, Team Crossfire (#TeamXFIRE) hosted a Smash Bros. Tournament, so there was awesome gaming all day long! Congratulations to Peter O. (aka Shellshock) who won the Pokémon Triathlon! This weekend is SPLI’s highly anticipated 2nd Anniversary event!! We have been very busy preparing for the big day, as we see this event as not only a chance to have a big party – but also to say thank you to all of our fans! 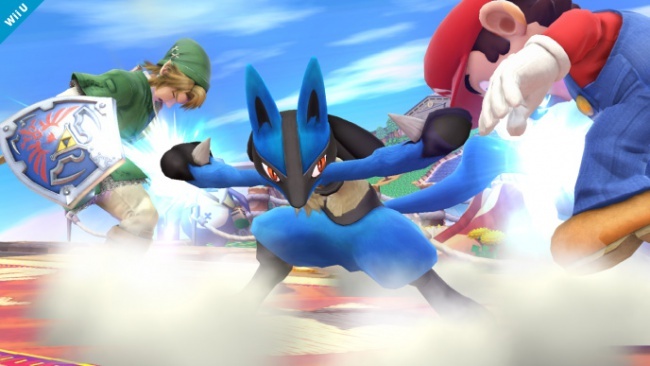 For this event, we are planning to host tournaments for the two most popular game franchises on Long Island for Nintendo fans… that is of course, Pokémon and Super Smash Bros! Triathalon Competitors must compete in all three tournaments using the SAME TEAM!! Competitors will be ranked based on performance of all three tournaments to crown the overall Pokémon Triathalon champion of SPLI! All Pokémon permitted EXCEPT Legendaries! Pokémon do NOT need to be Kalos-born! NoA Official Rep Derek will be hosting demos of the latest Wii U games, such as Mario Kart 8 and Wii Sports Club! There will be free giveaways!!! 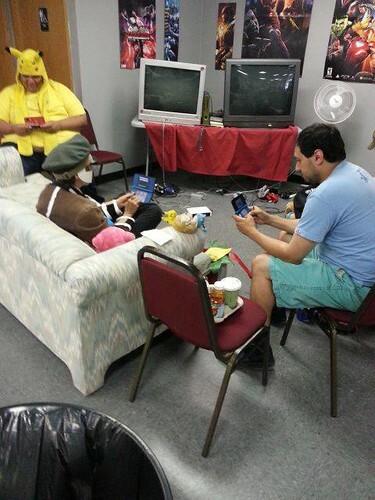 Don’t want to compete, but you want to hang out and get StreetPasses, freeplay random games and such? No problem! Come chill on the couches of the SPLI Lounge and play whatever games you like! 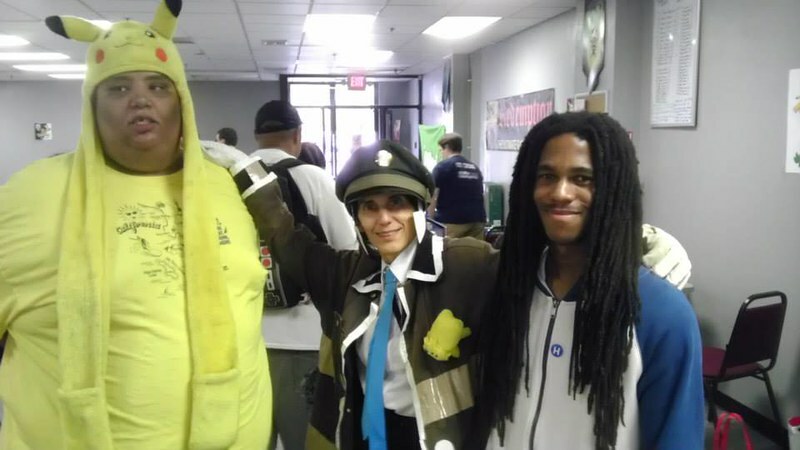 Wear your favorite Nintendo related Cosplay! Best costume gets a prize! We are working on some additional activities at the event too, but we want to save some suprises! One thing we will definitely tease right now is that we will be making a HUGE announcement at the end of the event, so be sure to stay to the end so you don’t miss out! Remember, this is a FREE event open to all SPLI members. 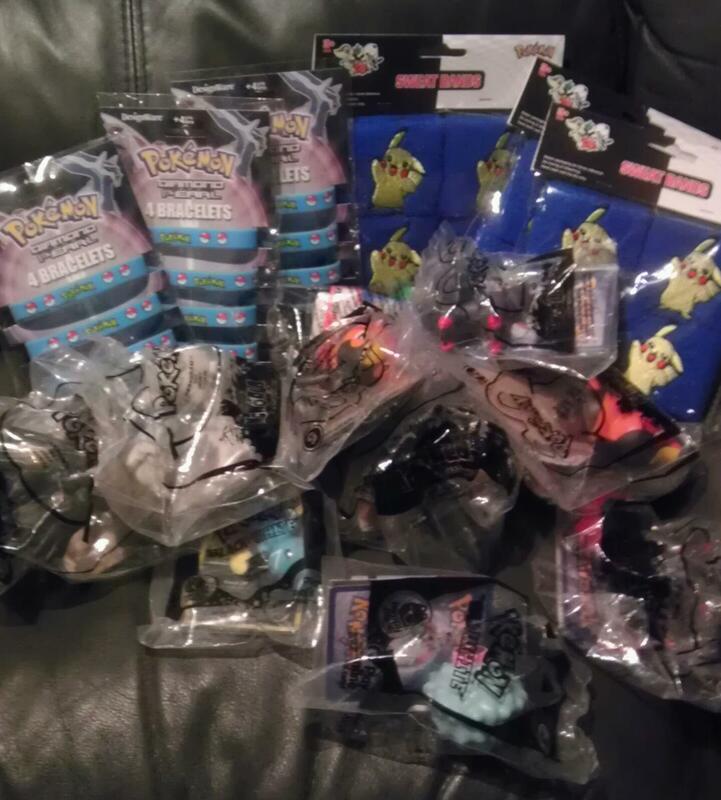 The Pokémon Triathalon will not have an entry fee, the prizes for this tournament have been donated by SPLI members. Please note that the Super Smash Bros. Melee Tournament is being run by CROSSFIRE Tournaments and not SPLI, so please direct any questions regarding that tournament to our partners at CROSSFIRE! 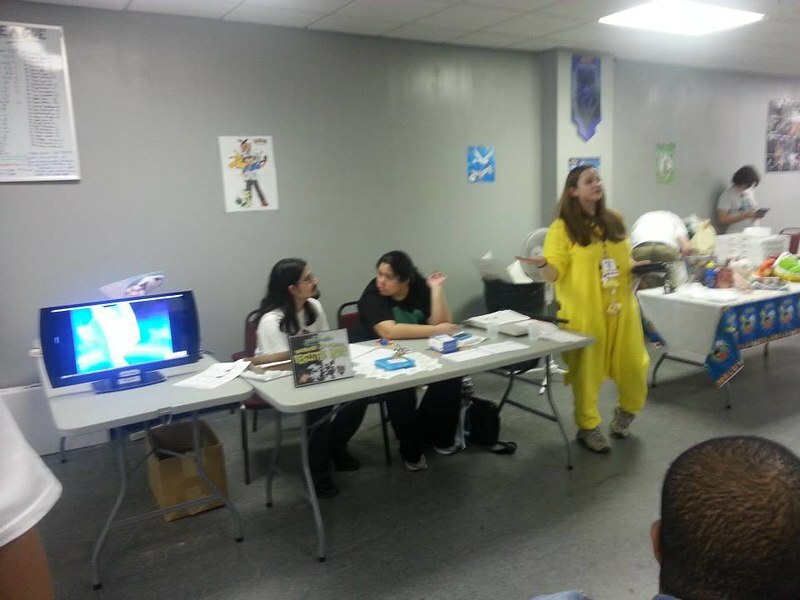 Empire Gaming & ComicsEmpire Gaming NYLong Island StreetPassNintendoNintendo CosplayPokemonPokemon PartyPokemon TournamentPokemon X&Y TournamentSPLIStreetPass LIStreetPass Long IslandSuper Smash Bros.
What You Missed: SPLI First Anniversary/Pokemon Party! 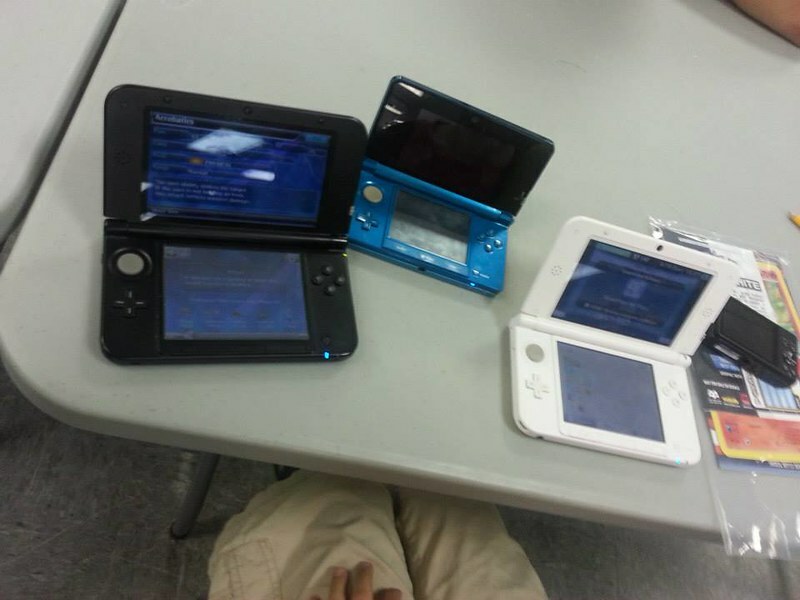 August marks the first anniversary of StreetPass Long Island, and we decided to throw a huge event to celebrate! Since Pokemon is wildly popular in our group, and the new Pokemon X&Y games are due out this October, we thought it might be fun to host a Pokemon Generation 5 Send-Off Party for our First Anniversary. The party included a PVGC Doubles Tournament, a Cosplay Contest, a Plushie Contest, as well as Trivia and Funfest Missions! There was pizza, cookies, cake and prizes for all who attended! 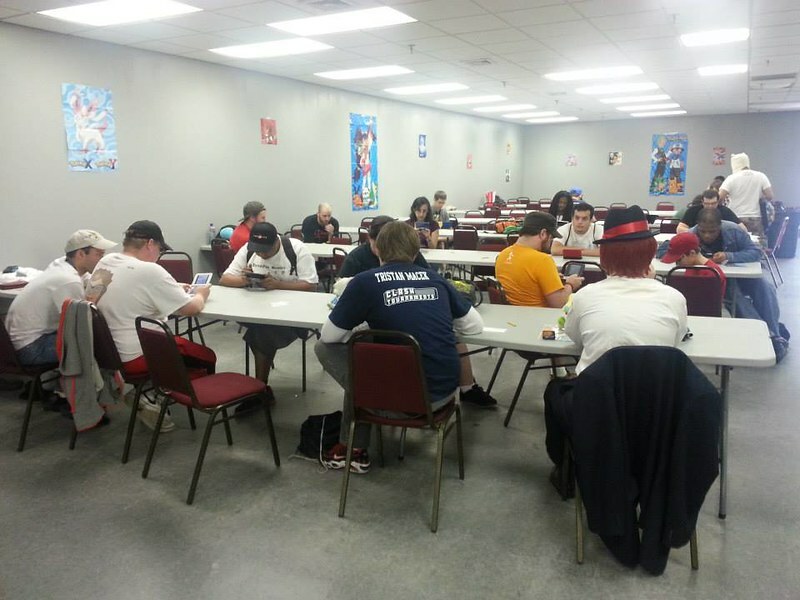 Over 30 people came to play Pokemon, get StreetPasses and enjoy the party with us! 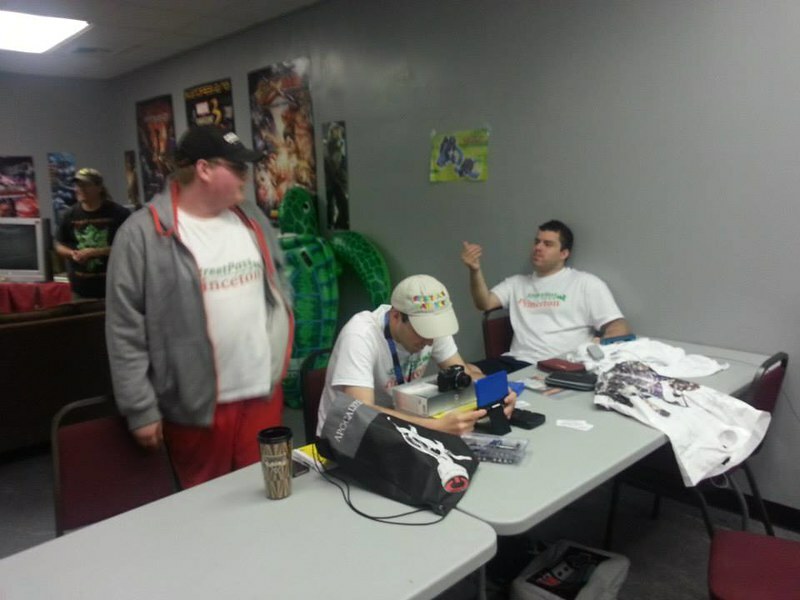 A Gaming Lounge was set up for casual Funfest Missions. Matt and Ana, Leaders of the Pokemon DS NYC Meet Up Group, expertly ran the Tournament, which was also broadcasted live on an HD TV during the event. The entire Tournament was streamed live by Clash Tournaments! 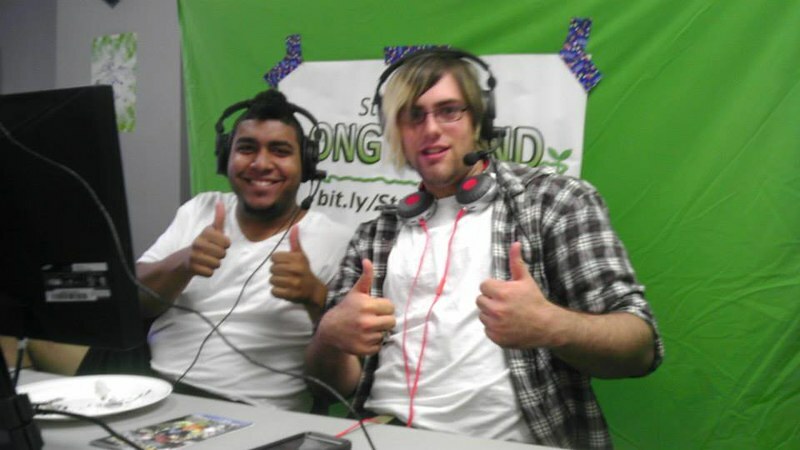 The Clash Tournaments staff also provided live commentary for each match! StreetPass Princeton came out to Long Island to enjoy the festivities! Thanks for joining us! StreetPass Princeton also generously provided a customized cake for the party! It was delicious, and quite a big hit with the hungry Tournament participants! Members of StreetPass NYC came to hang out as well! 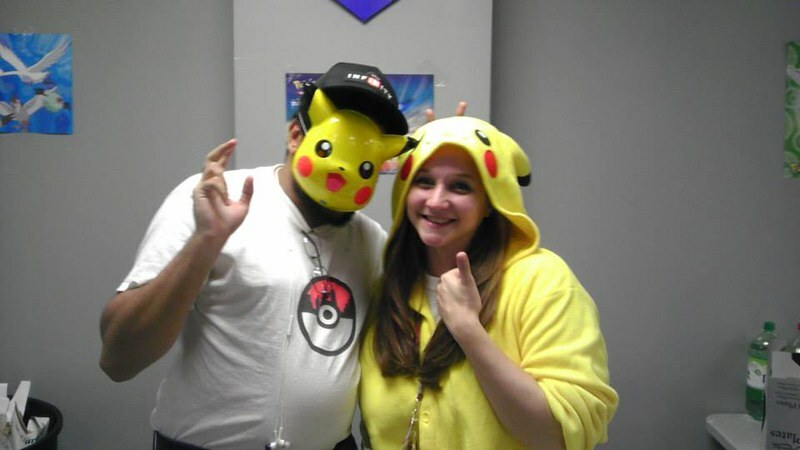 StreetPass Leaders Jordan & Debbie showing off some Pikachu cosplay! 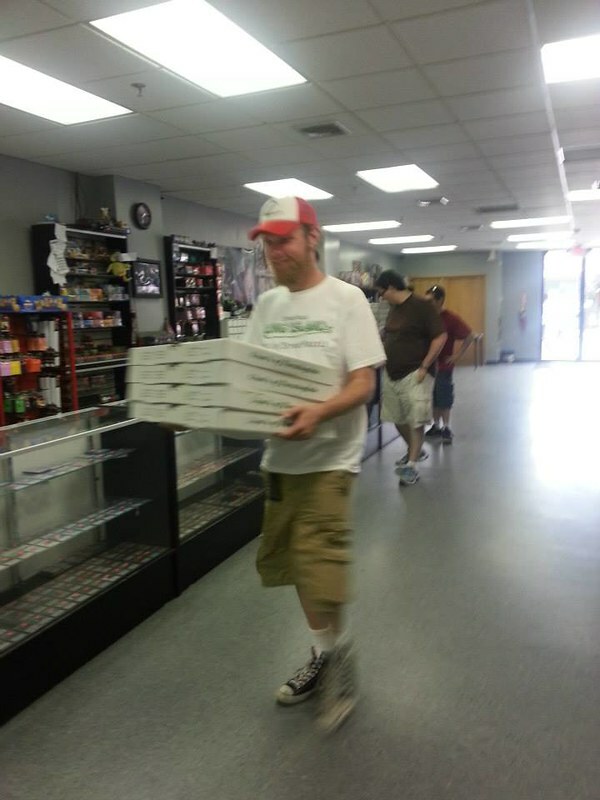 StreetPass Long Island Co-Founder Jeff provided the delicious pizza! Thanks Jeff! 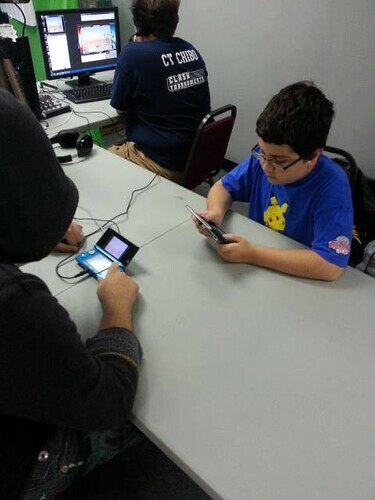 Of course a little Pokemon TGC was going on at the event as well! 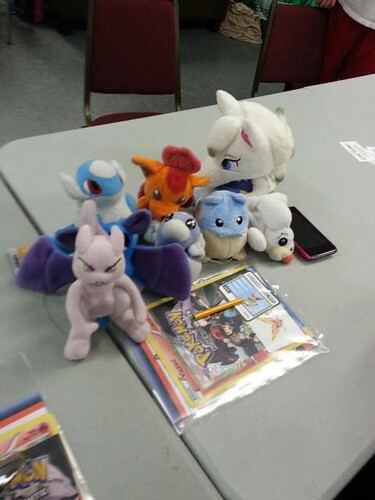 Some of the plushies pictured here were the big winners of the Pokemon Plushie Contest! The Grand Prize winner of the Tournament was Rick G. (pictured here in the center, wearing a black hat) He is now a Pokemon Champion in StreetPass NYC, StreetPass Long Island and the Pokemon DS NYC Meet Up Group! Who would like to challenge Rick now?? We hope everyone enjoyed our First Anniversary Party! We had an awesome time thanks to all of the great friends who came to share this day with us! We hope to see you all at the next event! If you weren’t able to make it to our First Anniversary Party (what a shame!) please visit Clash Tournaments on Twitch TV to watch a recording of the live stream! We hope you enjoy it! …there is a Medal system in the game which essentially [is] a list of tasks to complete within the game. There are however, 2 problem medals which are to have 30 people in one Funfest Mission (These are minigames, you can learn more about them here: http://www.serebii.net/black2white2/fun … sion.shtml) and to earn 1,000 points in a Funfest mission. These are both impossible without a decent amount of people to play with. 1. One of the following: A Nintendo DS, DS Lite, DSi, DSi XL, 3DS or 3DS XL. 2. A copy of either Pokémon Black 2 or White 2. 3. Have the C-Gear turned on. 4. The “Find Lost Items!” Funfest mission. To unlock this you will need to have completed the “Collect Berries!” Funfest mission. 5. Preferably have Level 3 of the “Find Lost Items!” Mission unlocked. You can do this my completing Level 1 and 2. 1. Go to Driftveil City and take one step onto the Driftveil Drawbridge (From the Driftveil side, not the Nimbasa City side). 2. On the C-Gear, select “Wireless” and then “Extralink”. 3. Talk to the “Entree” (The thing in the middle) and then select “Accept a Funfest Mission”. 4. Choose “Find Lost Items!” and select “Level 3” (Move the D-Pad right with the mission hilighted to do this). If the mission isn’t there, select “Collect Berries!” and play through that, this should unlock it. Then you should complete “Level 1” and “Level 2”. (Don’t worry if you are having trouble, this method will explain how to do VERY well). 5. When the mission starts (On any level) make your way across the Driftveil Drawbridge and collect all of the items you see (These are the shiny things) and head east to Route 5. 6. Collect the items on Route 5 and don’t bother with the ones in the grass, time is too precious for backtracking or random battles. 7. Enter Nimbasa City and make your way along the top collecting items as you go and then down and right into the Ferris Wheel area. 8. Make your way around the Ferris Wheel area collecting items as you go. 9. Exit the Ferris Wheel area and make your way South into Join Avenue. 10. Make your way through Join Avenue onto Route 4 collecting items as you go. 11. Collect items on Route 4 whilst making your way south. DO NOT LET THE TRAINER SEE YOU, this will waste precious time. To avoid the trainer that battles you every time that you are on Route 4, stay on the left most side. 12. Enter Castelia City and collect the items surrounding the fountain. 13. Take the right most path and collect the items until you get to the next screen. 14. Finally, make your way left and collect the items you see here. This is the point at which the time should run out. If we all follow these guidelines, it should be easy to get the 30 Person Funfest Medal! We’ll see you at Empire Gaming in Farmingdale, NY on August 18th! Registration for the PVGC Doubles Tournament will start at 11AM, with the Tournament starting at 12PM. But the Funfest Missions will be going on all day! In addition, we also plan to play some other multiplayer games, such as Animal Crossing: New Leaf, Luigi’s Mansion 2, Pokemon Mystery Dungeon: Gates to Infinity, Tetris Axis, and others! Got any suggestions? Or will we be too busy funfesting?? 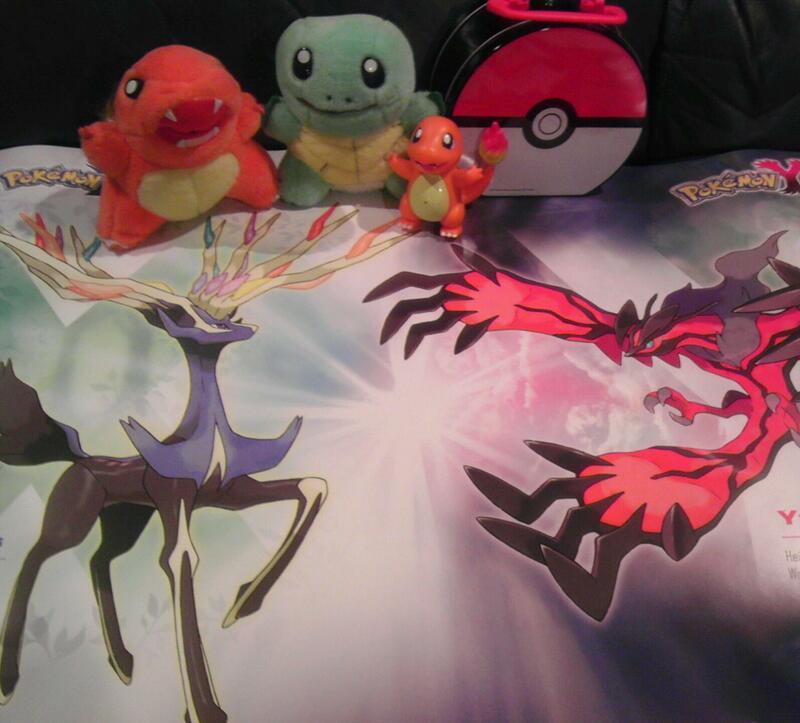 SPLI Pokemon Trivia Prizes Revealed! StreetPass Long Island’s First Anniversary/Pokemon Gen. 5 Send-Off Party is in less than a week! That means it’s finally time to reveal all the prizes for the events that will be happening during the party. Throughout the event, we will be hosting Pokedex 3D Pro Trivia Contests on a big screen! 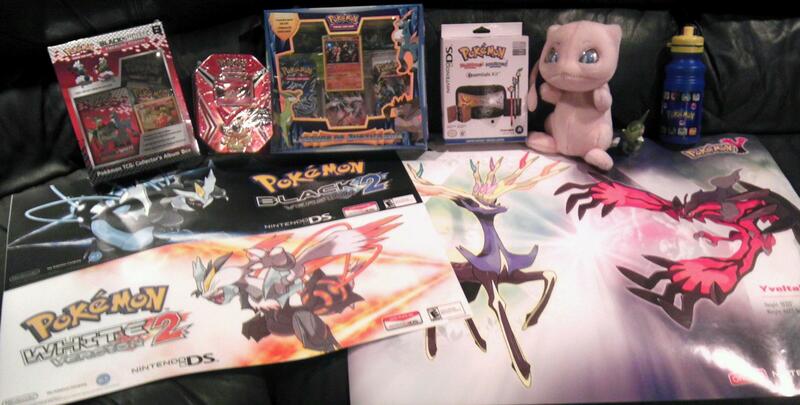 Here are just SOME of the prizes that you can win if you know enough about Pokemon! Each Round of Trivia will have a different prize set. Each Round of Trivia will consist of 10 questions, one (1) prize will be awarded per question. You may only win one (1) prize per Trivia Round. Open to all guests – You do NOT need to be entered in the PVGC Tournament to participate. SPLI Tournament Runner Up Prize Pack Revealed! 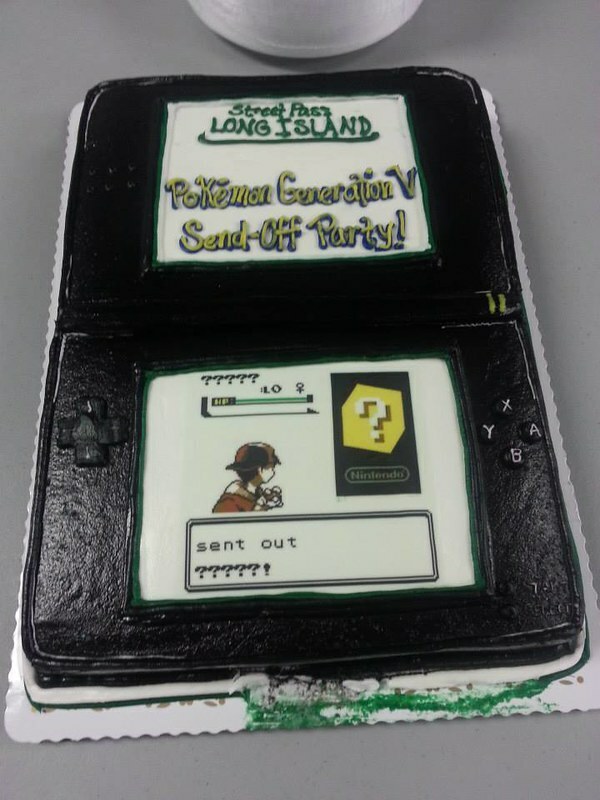 StreetPass Long Island’s First Anniversary/Pokemon Gen. 5 Send-Off Party is in less than a week! That means it’s finally time to reveal all the prizes for the events that will be happening during the party. In our PVGC Rules Tournament, even the Runner Up gets a Prize Pack!